Yosemite Pine Tree Post Light. 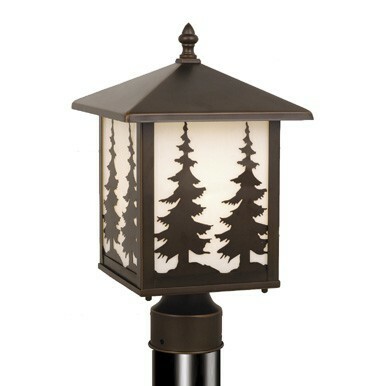 Our rustic outdoor pine tree post light will add a rustic charm to your yard. Burnished bronze finished metal with white Tiffany glass lens.